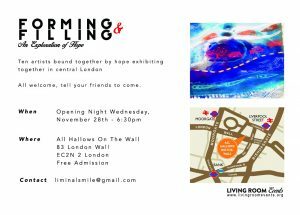 Insight’s Studio Fridays artist Alice Gavin Atashkar is exhibiting as part of a collective exhibition exploring hope. Open 28th November – 1st Saturday, 1 – 6.30pm. Closes 4pm Saturday.